can i fit the inter vehicle cable with the modern 24v plug to the bantam harness? I don't see why not, it is only a cable and the lights are only, well............................. lights. All you need is to attach the cable to the trailer and attach the lights to the trailer and then magically attach the cable to the lights. Look at it this way, then when some really old timer says he rode in one of those jeeps back in the big one at least the trailer will be right. 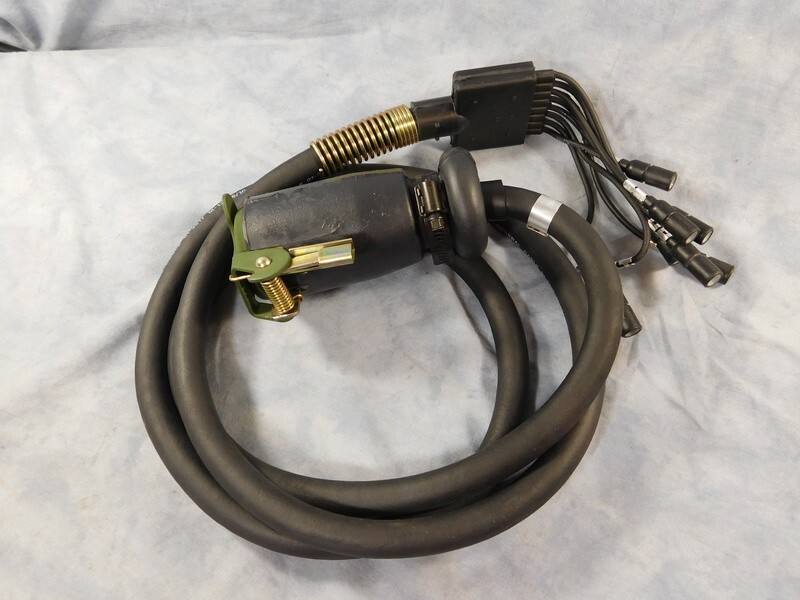 You will need the trailer harness from a 416 or a 116 or a 105 trailer to go from the interconnect to the lights. I mention the 116 and the 105 because the 416 will be impossible to find and the others are still around, just a bit to long so you put as loop in the harness underneath out of sight. where did you get that nice new cable assembly? Horst wrote: where did you get that nice new cable assembly? If you have a Bantam with an original harness those wires are probably well beyond their service life. You'd be far better off rewiring the back half as Rick said, or just making your own. m3a1 wrote: If you have a Bantam with an original harness those wires are probably well beyond their service life. You'd be far better off rewiring the back half as Rick said, or just making your own. Of course,everything will be brand new.